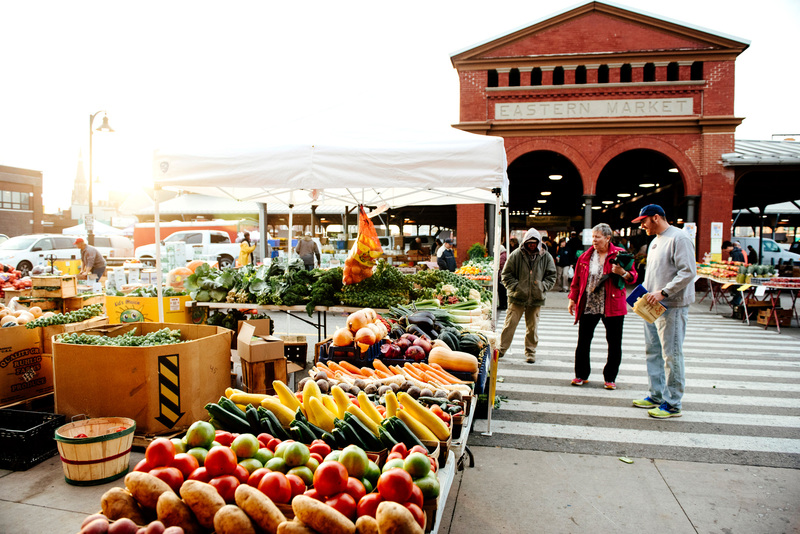 Explore the Motor City’s rich history, arts, entertainment, and culture while discovering some of the newer hot spots and the flourishing farm-and-food scene. A weekend in Detroit will show you why the city is turning up as a top tourist destination in regional and national pubs as well as travel guides such as Lonely Planet. If you've never been—or haven't visited in a while—it's time to see what all the attention is about. Historic check-in @ 3 p.m. The El Moore Lodge, an 1898 structure in the Midtown neighborhood, has been lovingly restored and transformed into a paragon of sustainable urban living. 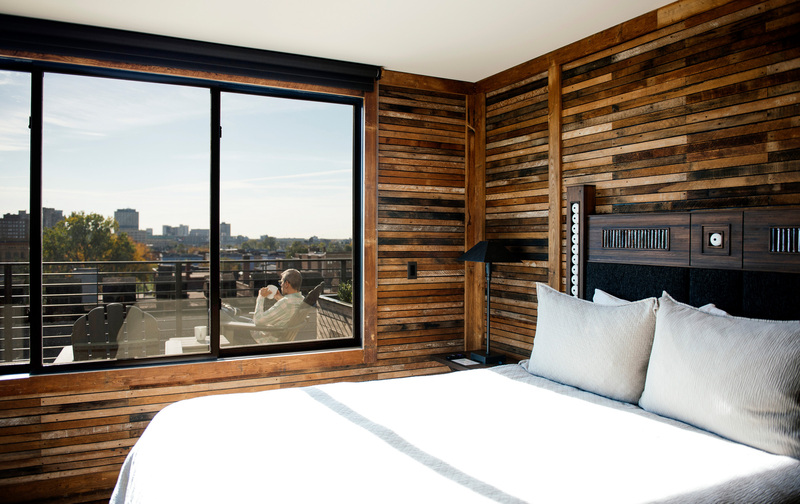 The El Moore boasts a mix of historic and reclaimed features such as hardwood floors and subway tile as well as green technologies like geothermal heating and cooling and photovoltaic solar panels. 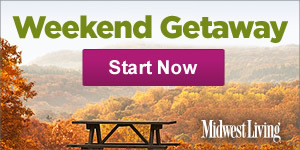 With rooftop cabins, guest rooms and apartments, it’s the perfect home base for your weekend. 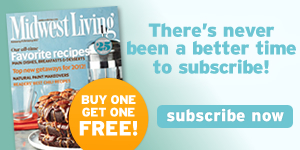 You can get the insiders’ scoop from locals who call the El Moore home. Early-bird dinner @ 4:30 p.m.
One of the stars of Detroit's vibrant restaurant scene is Selden Standard, with consistently imaginative locally-sourced, seasonal small plates and craft cocktails. Anything prepared in the glorious wood-fired oven is a must—such as grilled octopus, if it’s on the menu. Reservations are pretty much essential. 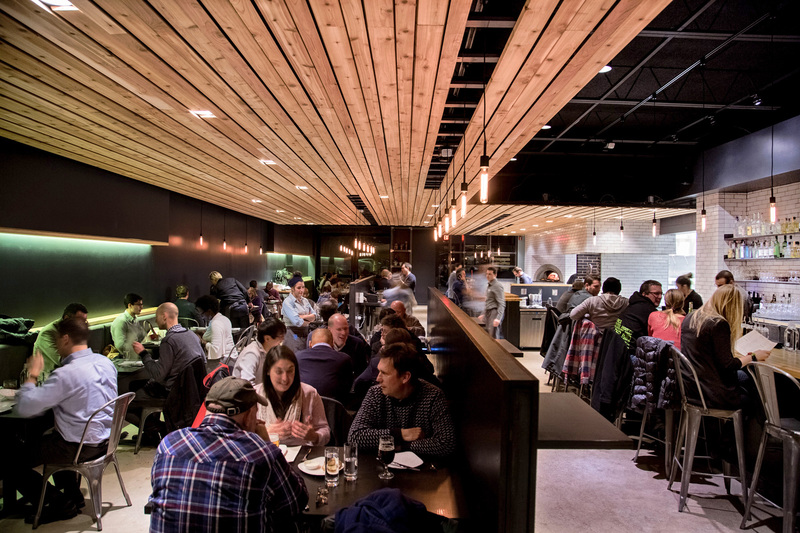 If you don’t have a reservation, come at 4:30 p.m. to grab a drink at the bar and put yourself in prime position to snag one of the tables set aside for walk-ins at 5 p.m. If you come any later, be prepared to wait a couple of hours. Art stop @ 7 p.m. Scope out modern art at MOCAD, which has later closing times on Fridays. The world-renowned Detroit Institute of Arts also stays open late on Fridays; you can often catch a free musical performance there. Or check out an art film at the Detroit Film Theatre. A taste of Old Miami @ 10 p.m. This beloved Midtown dive bar and music venue, opened in 1980, hosts local, national and international artists. In the summer, The Old Miami’s huge patio, complete with picnic tables, a bonfire area and a fish pond, is the place to be. Late-night snack at 12 a.m.
You may be hungry again after eating at 5 p.m.; if so, head over to Honest John’s for classic bar eats such as chili cheese fries and burgers. Craving something sweet? Dutch Girl Donuts is open 24 hours. Casual breakfast @ 8 a.m. Attached to a motel, the laid-back diner Clique just east of downtown dishes up hearty breakfast staples such as skillets, omelets and pancakes. Try a Clique original such as chicken wings with eggs or Bananas Foster Croissant. Hit the market @ 9 a.m.
Bike break @ 10 a.m. Rent some wheels through the bike-sharing program MoGo and cruise along the Dequindre Cut, a two-mile urban recreational path that links the East Riverfront, Eastern Market and several east-side neighborhoods. Make sure to ride up to Belle Isle, the crown jewel of the city, where you can explore a world-class aquarium and conservatory. Sweet lunch @ 1 p.m.
On Detroit’s northwest side, family-run Sweet Potato Sensations dedicates its menu to all things sweet potatoes, from pies to cakes to cookies. On the weekends, you can indulge in a savory brunch with Belgian sweet potato waffles topped with crispy chicken wings. 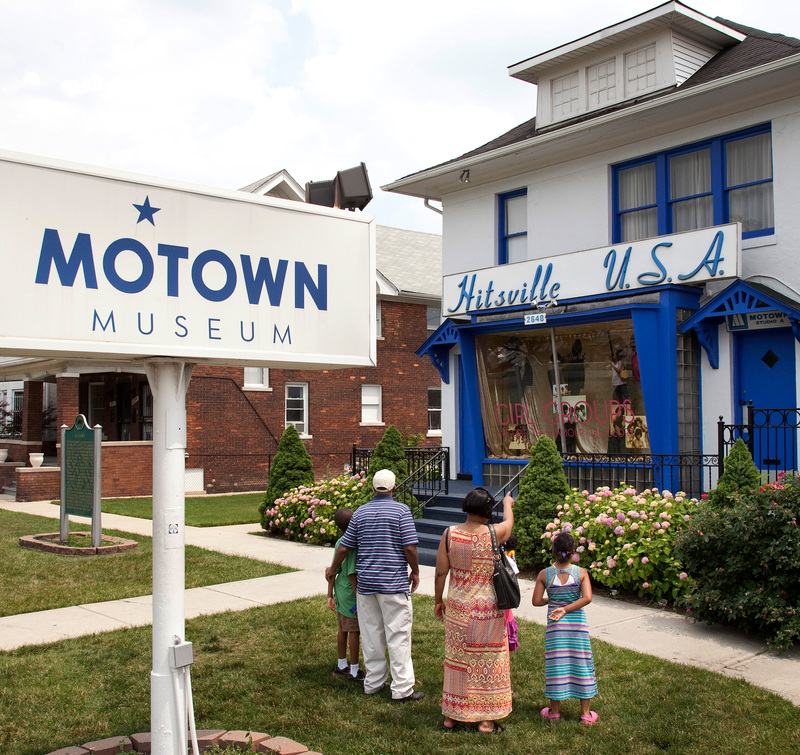 Hitsville U.S.A. @ 2:30 p.m.
A trip to the city that birthed a musical movement wouldn’t be complete without a visit to the Motown Museum, where Berry Gordy created a 24-hour hit-making factory that nurtured some of the industry’s brightest stars. Global dinner @ 7 p.m.
You could easily spend 36 hours in Southwest Detroit alone, eating your way through not just Mexican cuisine but also Salvadorean, Venezuelan and Italian, just to name a few. If you have to pick just one, El Asador Steakhouse is a good bet. Start with guacamole made tableside followed by a succulent steak such as Ribeye Steak Con Rajas (ribeye topped with a poblano sauce) or Ranchero New York Steak with housemade ranchero sauce. Locals and out-of-towners alike gather at the downtown watering hole Cafe D’Mongos. You might see owner Larry Mongo mingling and telling stories. Order a Detroit Brown, with whiskey and Vernors ginger ale. A never-ending debate centers on whether downtown coney islands (that’s Detroit lingo for diner) Lafayette or American makes the better coney dog. Do what local author Joe Grimm suggests: Pick a coney island (they’re next door to each other), order a dog, eat it, and then repeat the process at the other. You’ll find which you like better and can firmly pledge your allegiance. People-watching at this hour also goes great with those coney dogs. Live the brunch life @ 11 a.m. Enjoy bottomless mimosas and Bloody Marys while listening to a live band on the patio of La Dolce Vita. If it’s the second Sunday of the month, feel free to show up in your pajamas. Brunch runs until 3 p.m. if you get a late start to your day. Afterward, go for a leisurely drive through the picturesque Palmer Woods neighborhood and get ready for some house envy. Some of the city’s most prominent residents live in this neighborhood, where you can glimpse Tudor Revival, Neo-Georgian, Mediterranean, Modern and Craftsman homes designed by architectural greats such as Frank Lloyd Wright, Minoru Yamasaki and Albert Kahn. Photo ops @ 2 p.m.
Don’t leave town without getting the iconic snaps for Instagram. 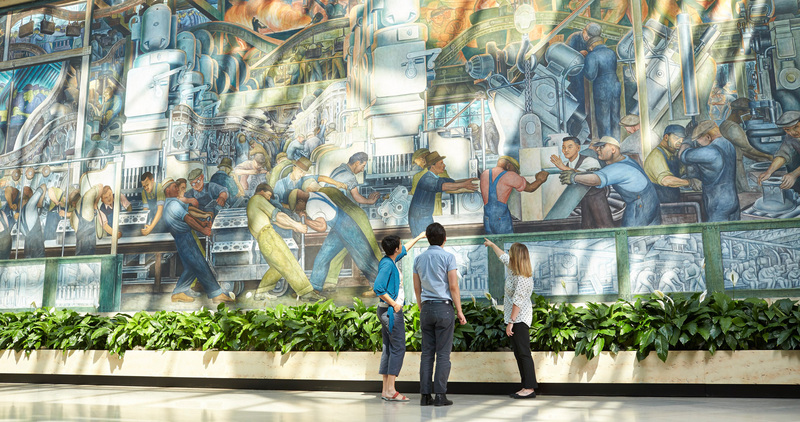 Capture some photos of the Spirit of Detroit statue by City Hall, Joe Louis’ fist, the towers of the Renaissance Center, and the distinctive architecture of downtown buildings such as the Guardian skyscraper, a National Historic Landmark. 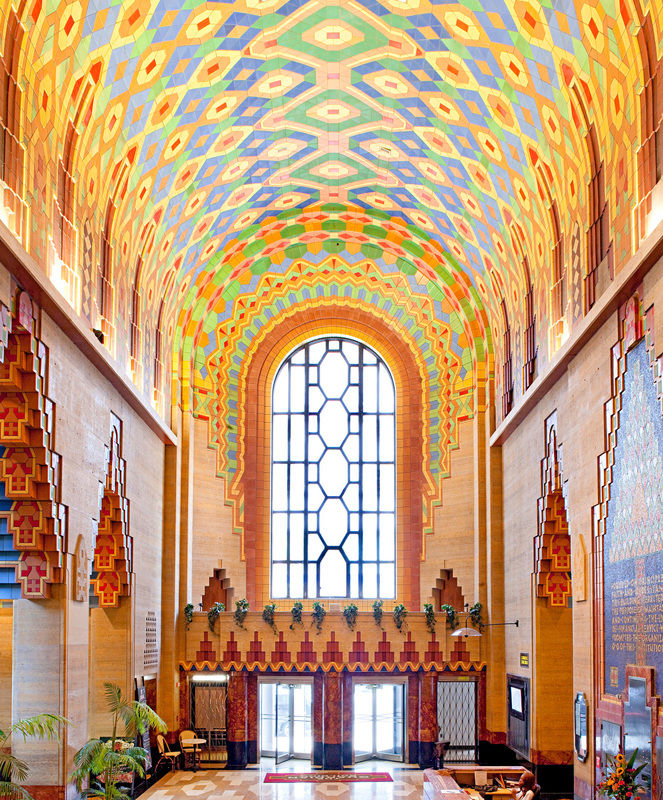 Architecture buffs may want to delve a little deeper with Pure Detroit’s free tours of the 1929 Guardian building or the 1928 Fisher Building. Want more Detroit inspiration? 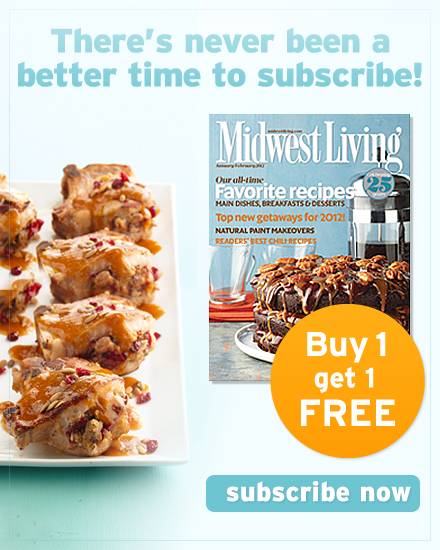 Check out Midwest Living's complete trip guide of things to do, places to eat and places to stay.